Caption slip reads: "Photographer: Snow. Date: 1958-01-02. Reporter: Tarpley. Assignment: Miniature rose parade. 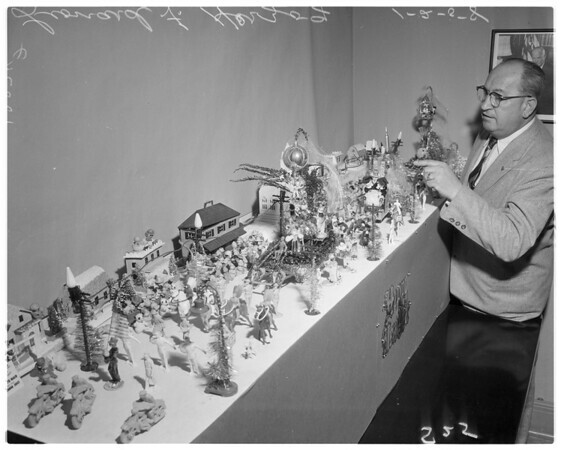 Leonard F. Herzog points at one of tiny floats in homemade Rose Parade. He lives at 3220 Troy Drive, Hollywood".